Star-Spangled Banner National Historic Trail at Fort McHenry. One of the lesser known conflicts in American history, the War of 1812 was declared by the United States against Britain and involved Canada and many Indian tribes as well. One of the turning points in the war was the Battle of Baltimore, during which a British naval fleet had attempted to capture Fort McHenry and the city of Baltimore nearby. 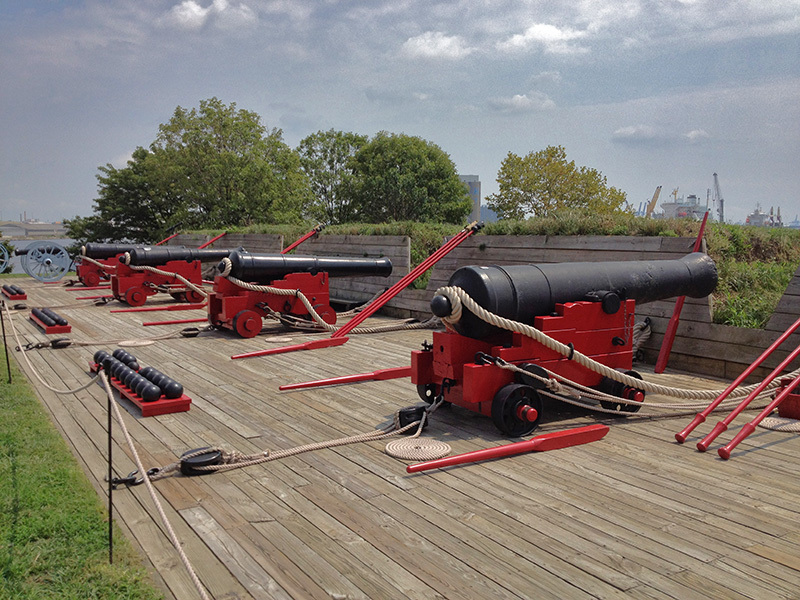 On September 13, 1814, under a dark and rainy sky, British ships attacked the fort by cannon and mortar throughout the night. As the sun rose the next morning, a huge American flag was to be seen flying over Fort McHenry, serving as an emotional boost for Americans who wondered if the fort had been taken by the British. One of these bystanders was Francis Scott Key, who was moved to compose his poem after witnessing the scene. Congress officially made this poem the national anthem in 1931. The Star Spangled Banner Trail begins at Tangier Island, Virginia and heads north by water to Washington, DC, and follows the Chesapeake Bay to the shores of Baltimore, Maryland.